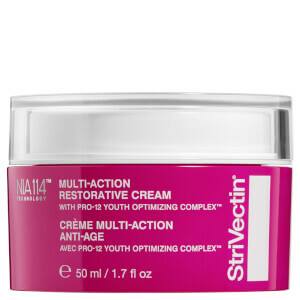 Rediscover your skin's youthful capacity with StriVectin's Multi-Action Restorative Cream, an anti-ageing face cream that targets and address 12 signs of ageing to leave skin looking replenished and renewed. 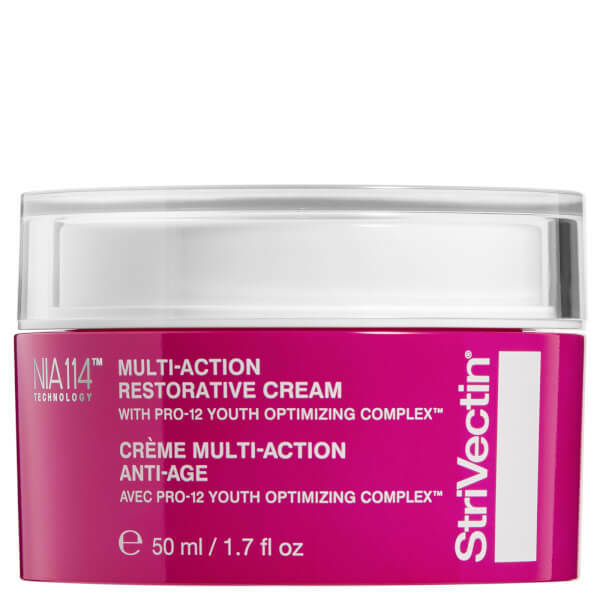 Targeting fine lines, wrinkles, sagging and enlarged pores, the formula utilises a Pro-12 Youth Optimizing Complex™ to revitalise skin, and Patented NIA-114™ technology to preserve moisture and promote maximum hydration. Skin performance is optimised and protected from future ageing. Expect a smoother-looking, replenished and resilient complexion. 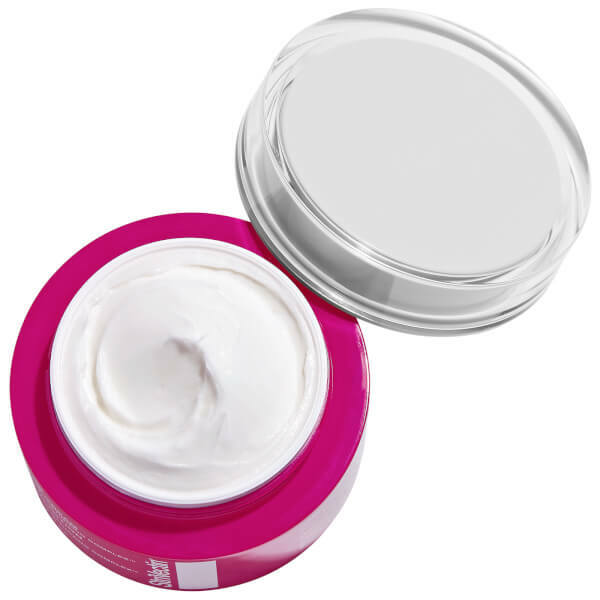 Aqua (Water, Eau), Glyceryl Stearate, Propanediol, C12-15 Alkyl Benzoate, Isopropyl Palmitate, Glycerin, Undecane, Butyrospermum Parkii (Shea) Butter, Tridecane, Caprylic/Capryl Triglyceride, Cetyl Alcohol, PEG-100 Stearate, Dimethicone, Glycol Distearate, Myristyl Nicotinate, Tocopherol, Allantoin, Panthenol, Pentylene Glycol, Ethylhexylglycerin, Secale Cereale (Rye) Seed Extract, Tetradecyl Aminobutyroylvalylaminobutyric Urea Trifluoroacetate, Palmitoyl Tripeptide-5, Caprylyl Glycol, Acetyl Tetrapeptide-2, Magnesium Chloride, Disodium EDTA, Potassium Cetyl Phosphate, Carbomer, Sodium Hydroxide, Phenoxyethanol.